Sometimes you can spot the shot from a long way off. 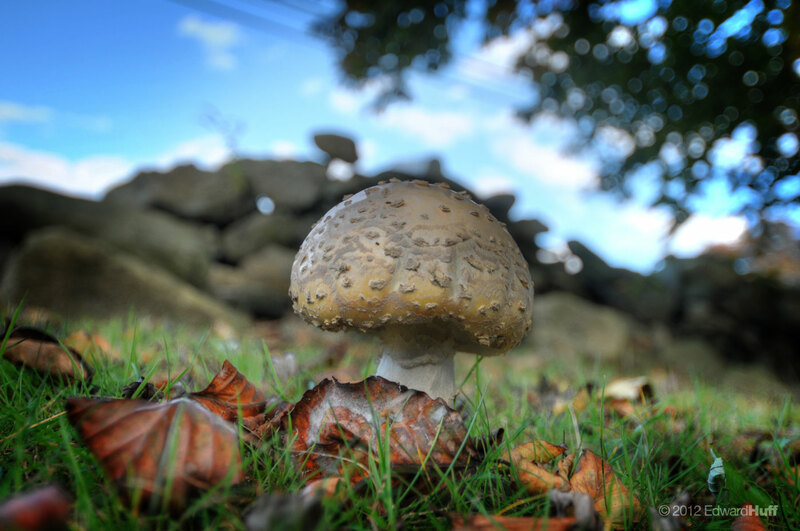 As I was driving into Shirley's driveway I saw this mushroom along side and immediately saw the color and composition and just what lens to use. Sometimes it works out like that.. mostly it doesn't.